Slewing bearings are used when in a machine one structural part needs to rotate in the opposite direction to another along a fixed axis, while guaranteeing the axial and radial link between the two parts. Slewing bearings often use two rows of rolling elements. They often use three race elements, such as an inner ring and two outer ring “halves” that clamp together axially. 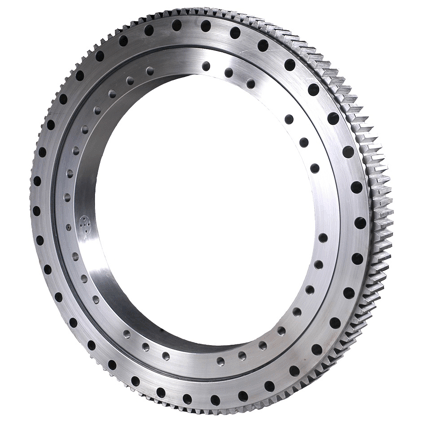 Slewing bearings are often made with gear teeth integral with the inner or outer race, used to drive the platform relative to the base.